Inscribed (upper right) with the plate number; (lower left) the original draughtsman; (lower right) De Bisschop's monogram: ''JE f.". Condition: strong impressions with generous margins (as published) and in excellent condition for their age (i.e. 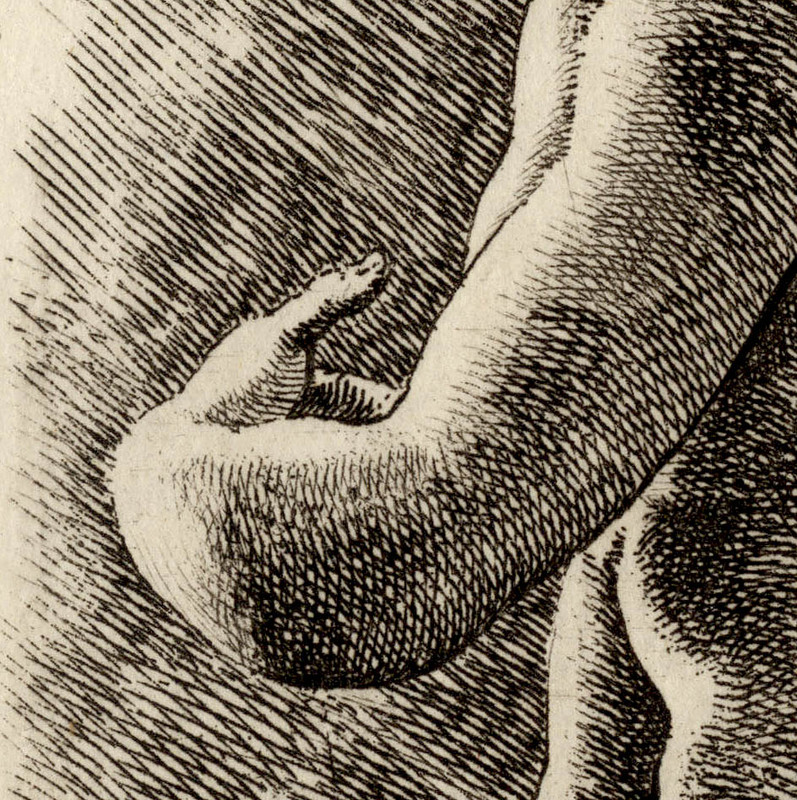 there are no tears, stains, bumps or creases but there is light age toning appropriate to the age of the prints). 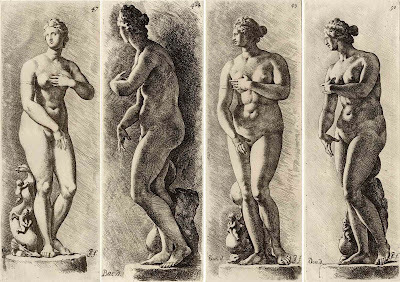 I am selling this historically significant set of four related 17th century prints showing a sequence of views of the marble sculpture of Venus for AU$239 in total (currently US$171.72/EUR154.49/GBP117.44 at the time of posting this listing) including postage and handling to anywhere in the world. 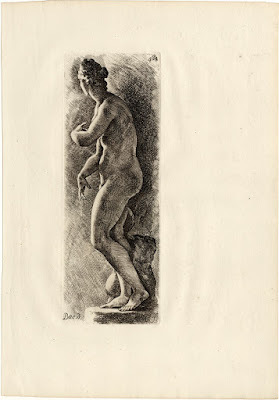 If you are interested in purchasing set of etchings that is likely to excite all graphic animators and illustrators, please contact me (oz_jim@printsandprinciples.com) and I will send you a PayPal invoice to make the payment easy. 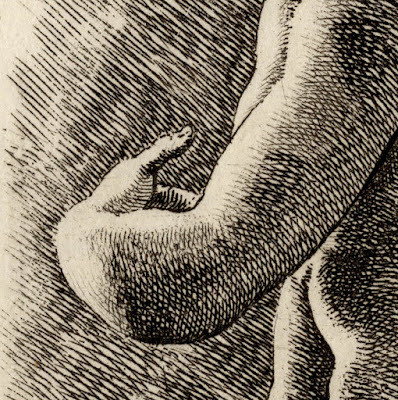 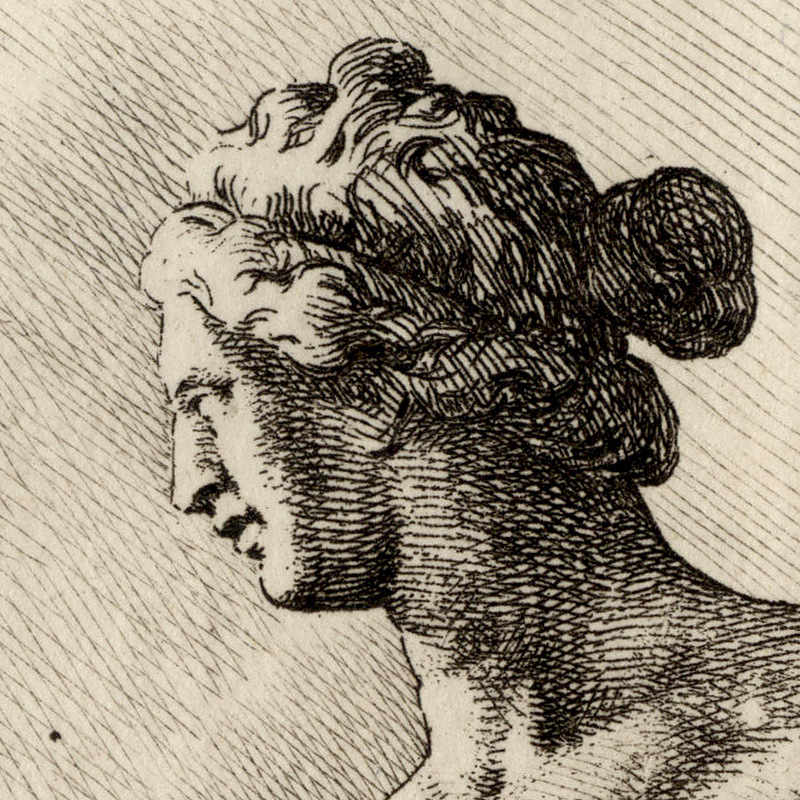 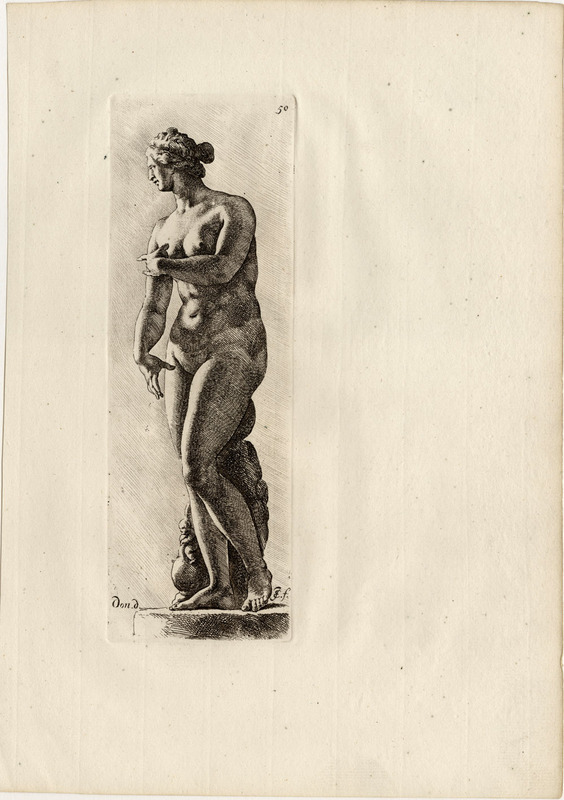 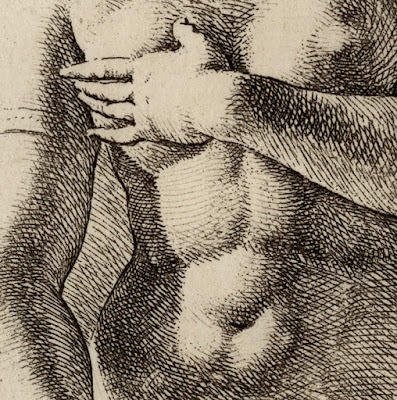 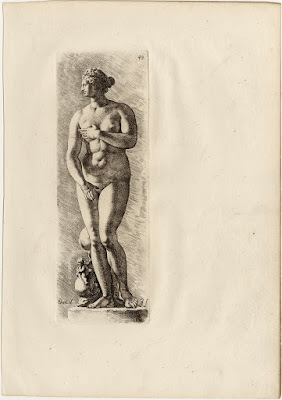 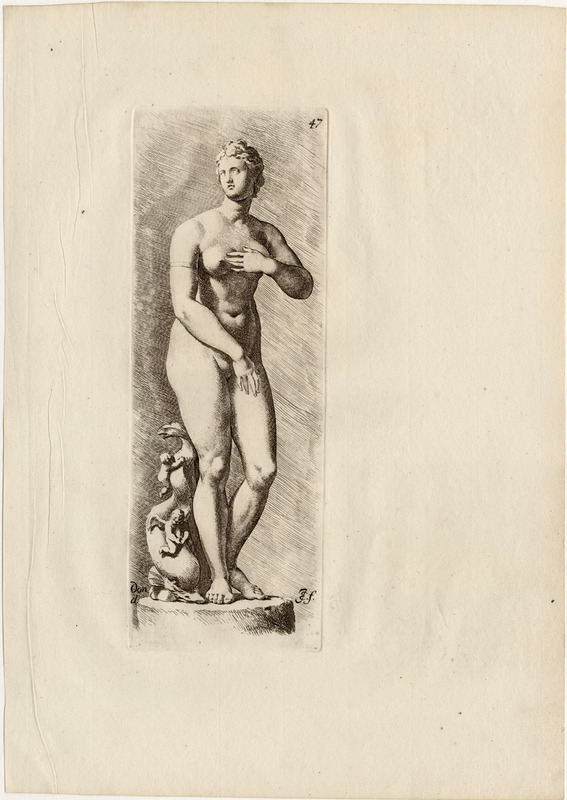 Beyond the high level of technical skills exhibited by Jan de Bisschop in his four sequential etched views of the famous marble sculpture now known as the “Venus de Medici,” one process that the artist had not engaged in was to animate his images in the format of an animated gif shown above. Although I imagine that most digitally acculturated viewers would tend to yawn at such an animation, what it showed me, however, is that Jan de Bisschop never intended his prints to fit into a flip-book format or any other such simple tool for animation. 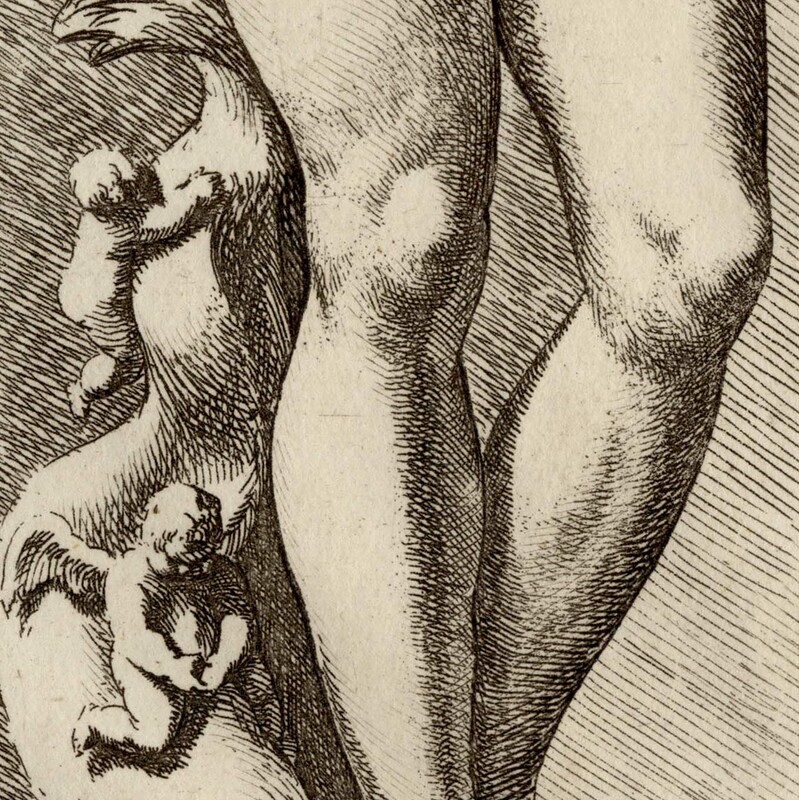 I know this because I had to morph each image so that all the views of Venus’ heads and feet were in the same line.